Tomato Basil Topping for Bruschetta is one of the best ways to showcase summers bounty of fresh, garden ripened tomatoes. 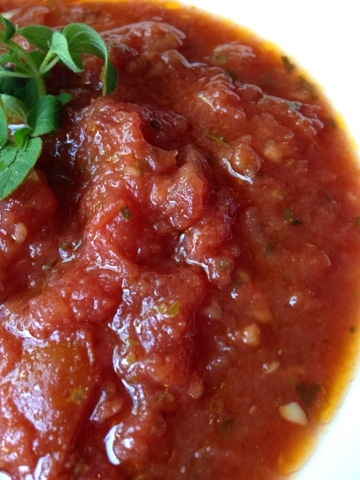 This topping is best made with plum tomatoes, which have more meat, less watery juice and fewer seeds. 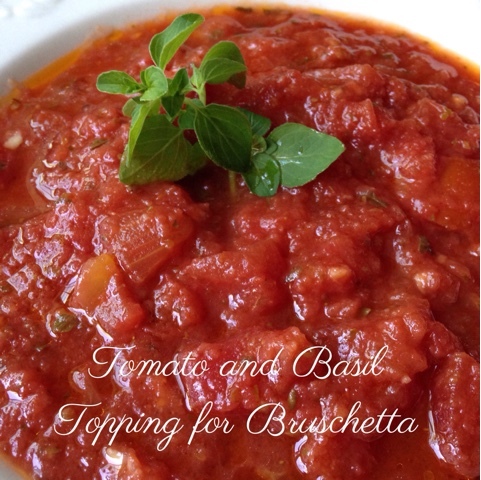 Tomato and basil topping requires juicy, sun-kissed, garden fresh tomatoes in order for this recipe to shine. Now is the time to make this delicious topping….when your garden is overflowing with tomatoes. Bruschetta [broo-SKEH-tah] [broo-SHEH-tah] From the Italian bruscare meaning “to roast over coals,” this traditional garlic bread is made by rubbing slices of toasted bread with garlic cloves, then drizzling the bread with extra-virgin olive oil. This bread is salted and peppered, then heated and served warm with a dipping sauce. 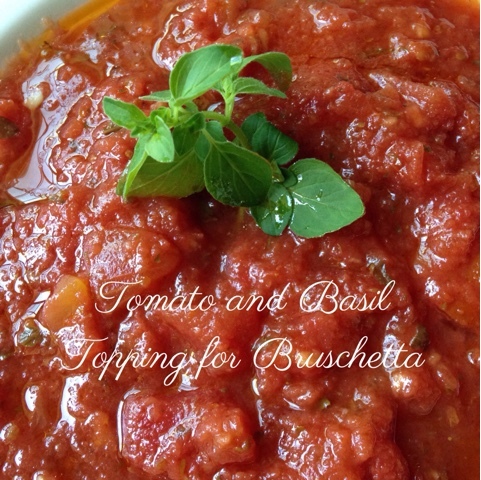 Tomato and basil topping is best made several hours in advance and allowed to sit at room temperature. This gives the flavors enough time to “marry.” This topping is best made with summer-fresh, vine-ripened tomatoes and fresh basil…the perfect tribute to summer produce. This summer put out a plate if toasted bruschetta, a small bowl of fresh grated Parmigiano-Reggiano cheese and a bowl of tomato and basil topping for a fast, easy and delicious antipasto. Serve with a sturdy, dry red wine such as a Chianti Riserva. Cover and let sit on the counter for 2 hours for flavors to develop. Can be covered and refrigerated for up to two days. I agree that for recipes like this to really be at their best, the tomatoes must be vine ripened. This is a great combination fo flavors.